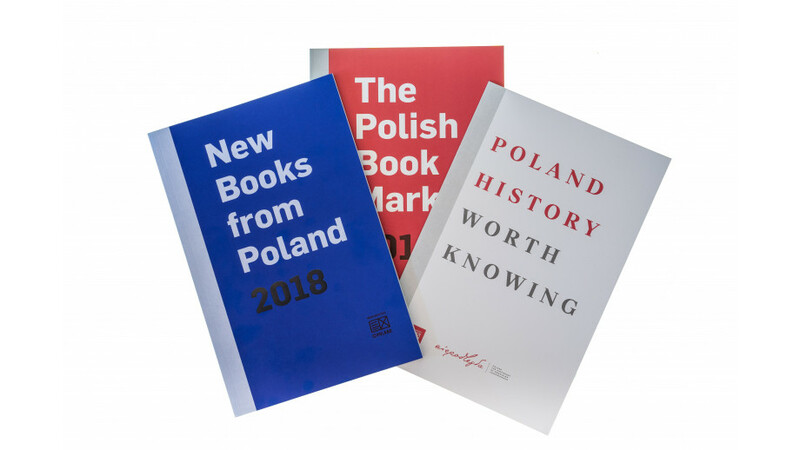 Today, at a press conference, the catalogue "New Books from Poland 2018" had its premiere; it will be presented to foreign publishers during the upcoming Frankfurter Buchmesse book fair, the most important industry event in the publishing world. Dariusz Jaworski, the Director of the Polish Book Institute, Professor Krzysztof Koehler, and Mateusz Adamski, a foreign cooperation specialist, also presented two other catalogues: "The Polish Book Market 2018", presenting the reality of the Polish publishing market, as well as the catalogue "Poland - History Worth Knowing", prepared for the first time in history. The Director of the Institute, Dariusz Jaworski, emphasised that the Frankfurt fair is the most important event of its kind in the world. That is why "New Books from Poland 2018" is to present the widest possible range of genres and themes, thus reflecting the richness of Polish contemporary literature. Jaworski drew attention to the strong representation of biographies in the catalogue, which is the result of the flourishing of this genre in Poland. He also pointed out that the Institute cares "about new figures to appear in the catalogue", hence - besides such recognised names as Jarosław Marek Rymkiewicz, Wiesław Myśliwski, or Olga Tokarczuk - the presence of debutants: Paweł Sołtys, Martyna Bunda,and Mariola Kruszewska. The "enormous power of biography" was also pointed out by Professor Koehler, who furthermore emphasised the renaissance of the Polish short story. "Polish literature’s strengths are novellas," Koehler said. The aim of the catalogue, as he noted, is to show new trends and tendencies in Polish literature, to present works that arouse a desire for debate, as well as to discover literary pearls among the publications of smaller publishers. The Deputy Director of the Institute also emphasised that, for the first time, there is a comic book in the catalogue. The catalogue "Poland - History Worth Knowing" was prepared on the occasion of the centenary of Poland’s regaining independence. It presents the most interesting publications of a popular scientific nature concerning the history of Poland. Among others, it included books presenting the events and figures that led to Poland's regaining independence, as well as biographies of great Poles who exerted a significant influence on the fate of Poland and the world in the last century. "One cannot understand Poland without getting to know its rich past," said Mateusz Adamski during the presentation of the catalogue. At the same time, Adamski emphasised that the books included in the catalogue are addressed to a wide audience, which is why "we focus on captivating stories, not scientific books".